A few weeks ago my family made the decision it was time to stop using those purchased plastic water bottles in favor of the reusable sports water bottles. Even though our community recycles them, it seemed like such a waste of energy and our town water supply was safe and clean. We used a BRITA filter to remove the chlorine for household water drinking and decided it was time to reduce and reuse for our out and about water supply. The Problem?? DRYING THEM PROPERLY!! My kitchen counter became a war zone as various bottles would be turned upside down precariously balancing them so as not to fall over, which of course some would. They just never were able to get dry inside so we could put them away. It was a constant "thing" They wouldn't fit in the dish drying rack properly and so they would be upside down on paper towels and such. Instead of letting them dry properly, my kids would get out a fresh one and then that would be added to the pile. So this simply system works. You could also try making your own with wood and dowels, but I decided this was a worthwhile investment. I decided it was time for some sort of action. I went looking around and could only find bottle dryers designed for baby bottles in the local stores, but when I checked online I came across these two! One is metal (the one I ordered) and the other is bamboo. Keep The Counter Top Organized! 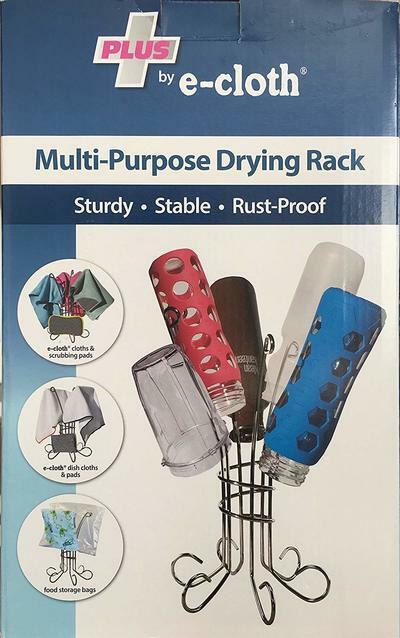 I find having these specialized water bottle drying racks not only perfect for the sports bottles but also for washing out and drying reusable baggies and rubber gloves. Just having them off the counter top allows them to dry quicker. We all want to do our part in the reduce, recycle, reuse, but we also want to stay healthy and organized. I found if the bottles are in the air on this rack, they dry out quickly and are easy to reuse again. I didn't like putting away bottles with dampness inside them as it makes for stinky and moldy which is not good either. 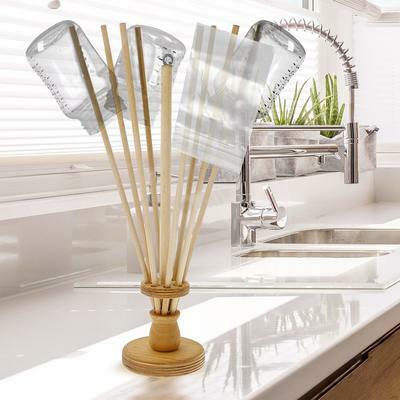 These water bottle drying racks don't take up much room, and you can quickly refill and go. 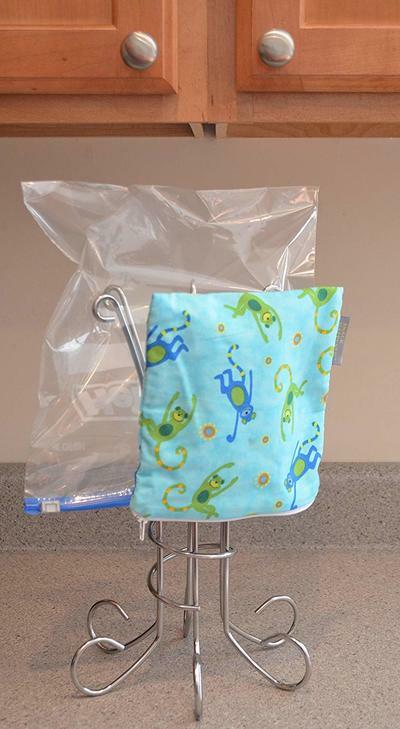 I personally like the look of the metal one it goes with my kitchen, so I simply leave it on the counter for whenever bottles or baggies are being washed.